With the Railways losing passengers due to the flexi fare system in premium trains, the Railway Board has decided to do a comparative assessment of such fares with those of flights the same sectors. NEW DELHI: With the Railways losing passengers due to the flexi fare system in premium trains, the Railway Board has decided to do a comparative assessment of such fares with those of flights the same sectors. A six-member committee has been constituted on the directions of Railway Minister Piyush Goyal to review flexi fare and how it affected passengers and Railways revenue. The committee will submit its report in 30 days. Flexi fare was introduced in September 2016 in premium trains like Rajdhani, Shatabdi and Duronto. It helped Railways earn Rs 630 crore. 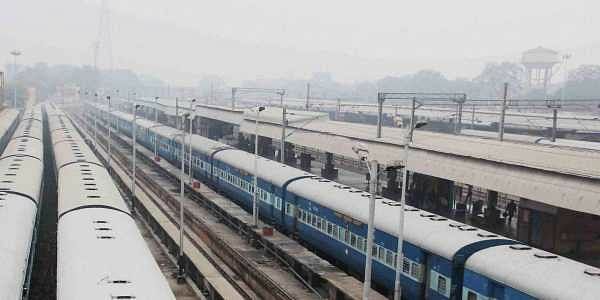 “The committee will look into revenue generation for Railways and how it impacted passengers. Besides, an analysis of competitive pricing with airlines on routes of flexi fare trains will be done,” said the Railway Board order dated December 11. Train fares shot higher than airlines post the flexi fare system. “The idea to assess whether flexi fare needs to be decreased or if passengers can be provided with some more facilities,” said a senior railway ministry official. The flexi fare system led to up to 50 per cent increase in fares. Under the formula, base fares increase from 10 per cent to 50 per cent with every 10 per cent of berths booked. While revenue increased, Railways lost passengers as several berths remained vacant.